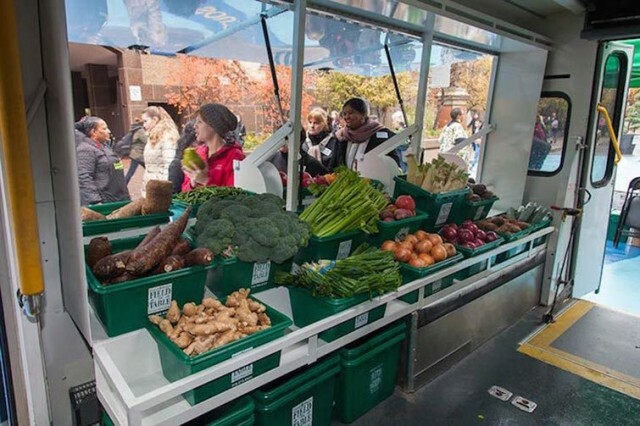 Even in a city as dynamic as Toronto, there remain neighbourhoods where residents are unable to access the foods essential to a healthy diet. 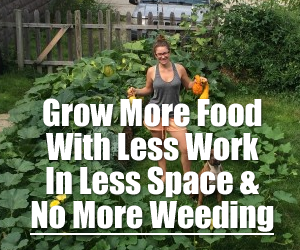 This happens for a variety of reasons, including low-income, lack of access to public transit, and long distances to groceries and markets. Such conditions make it extremely difficult for individuals and families without access to a vehicle to find and purchase healthy foods. Senior citizens who might be less mobile are hit especially hard by this type of isolation. 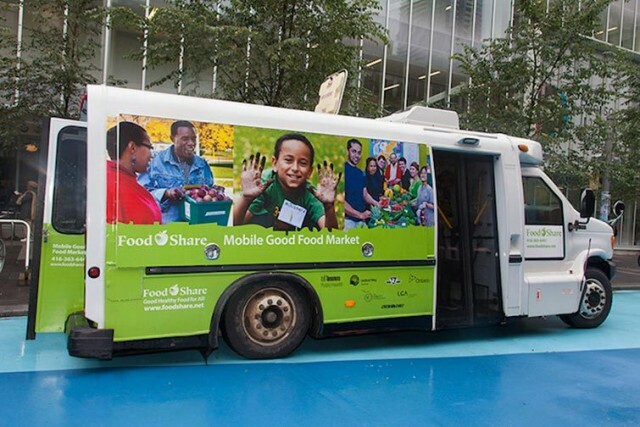 Introducing the Mobile Good Food Market…. 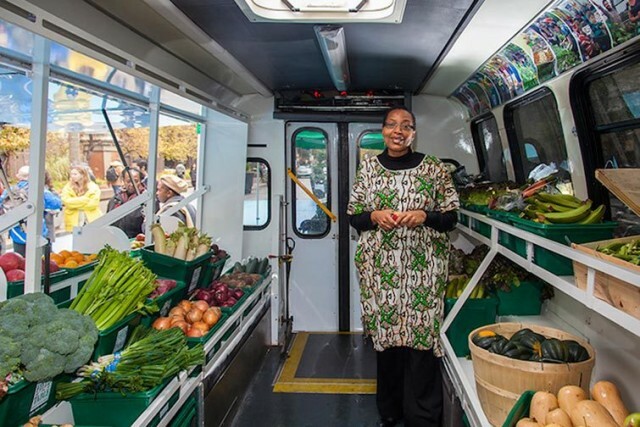 Mobile Good Food Markets are travelling community food markets filled with fresh, quality vegetables and fruits. 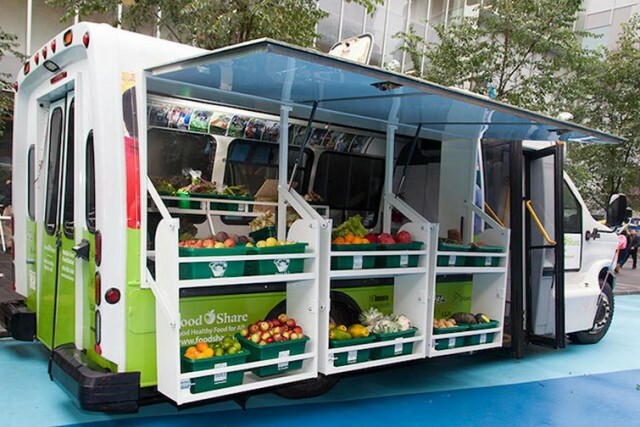 They address the need for fresh, quality produce in food deserts, neighbourhoods where a grocery store is nowhere in sight or too expensive for residents. có m?t cái ?i bán hàng nh? Mobile food is everywhere in Indonesia years ago xD but of course they don’t manage to make the bus/car this good. Nice one! Very good idea but nothing new. Ever been to France in a small village on market day? They have meat markets, cheese markets, bakeries. All just like this. This is so cool, i remeber this from Holland to. Way to go Toronto! Let’s hope this spreads across the rest of the country as well.